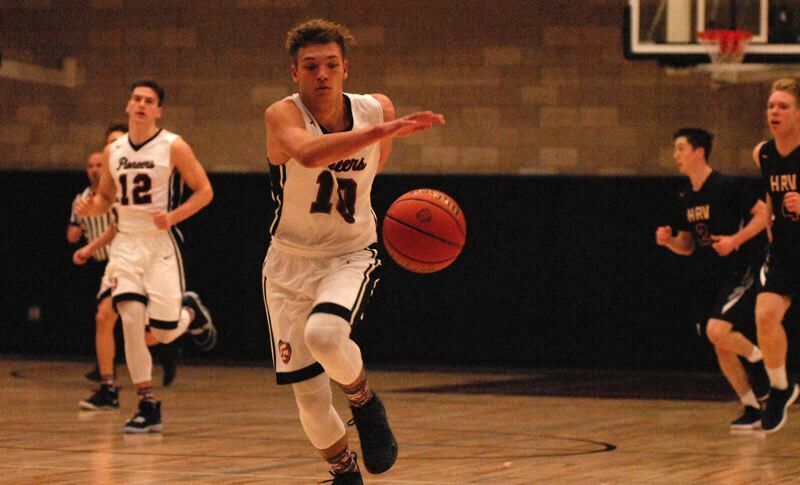 The Sandy boys basketball team started fast and never looked back during an 88-68 home win over Hood River last week. The Pioneers scored the first two times they touched the ball, prompting Hood River to call a timeout barely a minute after the opening tip when Danny Classen broke free for a fast-break layup. Sandy kept up the pressure when Colton Gorski dribbled down the center of the lane and pulled up for a fadeaway 15-footer. He was added another bucket moments later after Hood River's German Diaz dived out of bounds and threw a loose ball off the shorts of Classen. But rather than bouncing out of play, the ball took a hop into the paint where Gorski scooped it up for an easy two. Pierce Roeder sank a 3-pointer from in front of the Eagles' bench, and teammate Kaleb Hubbard tipped a ball away at the defensive end. Roeder collected the pass and sent a pass inside to Gorski who laid it over the front of the rim for a 19-7 lead while fans were still finding their seats. "We were really pushing the ball in transition," Sandy coach Jason Maki said. "Hood River is a bit smaller than us, so we knew there wouldn't be a shot blocker, and we took advantage of that. Good energy and unselfish play led to easy shots." And they just kept coming. Hunter Murphy swished one from the elbow, Hubbard floated through traffic and laid one off the glass, and Roeder paused inside, backed up a step and went up over two defenders for another bucket. Sandy had six players score in the quarter, which ended with it in command 32-14. 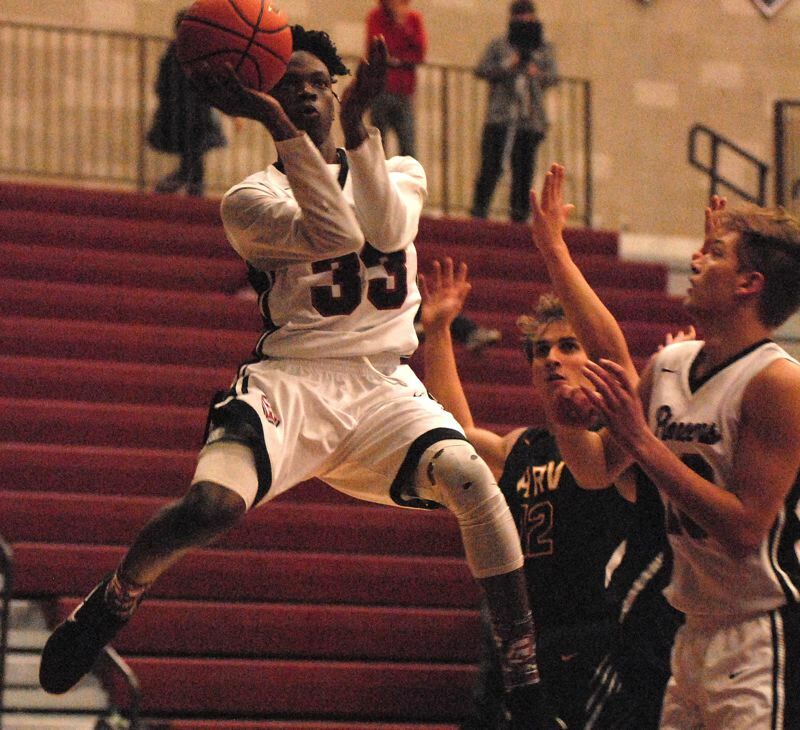 The Pioneers maintained a comfortable margin midway through the second period when Roeder chased down a tipped pass and found Jermaine Robinson at the top of the arc for a catch-and-shoot 3. Sandy opened up a 19-point margin when Gorski knocked down a long ball from the top of the arc, then on the next trip he lobbed a ball to the rim feeding Classen for an alley-oop layin. In the final seconds of the half, Tanner Brewster grabbed a teammate's missed free throw and went back up off one foot to beat the horn with a shot off the glass. The Pioneers scored on its first three possessions coming out of the locker room. Gorski got it started when he passed up a 3-point try and drove the lane for a layup instead. Sandy (3-1) hosts King's School out of Australia in an exhibition game at 7:15 p.m. Friday before hosting Summit at 2 p.m. Saturday. Hood River (68) — Carson Flores 30, Noah Webster 18, Cruise Hawk 8, Brandon Smiley 8, Brandon Rivera 2, German Diaz 2, Hawk, Zack. Sandy (88) — Pierce Roeder 22, Colton Gorski 16, Danny Classen 14, Jermaine Robinson 10, Kaleb Hubbard 9, Colby Carlson 5, Tanner Brewster 5, Hunter Murphy 5, Kole Adovnik 2. This story is slated for our Dec. 19, print edition.